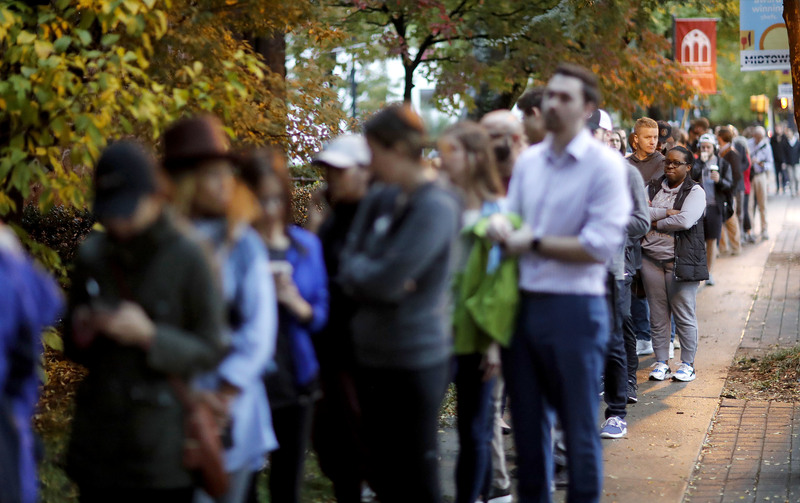 Heading into midterm election day, analysts were predicting a potentially historic voter turnout in the United States. And while reports of final numbers are not yet available, yesterday—November 6, 2018—appeared to shape up strong for American participation in the democratic process. Midterm elections historically do not generate as much voter participation as presidential elections, but the positions being voted on are still important. This year, majority control of the House of Representatives for the nation was at stake. Going into the election, Republicans held a majority of seats in the House. But Democrats were able to net a majority—flipping at least 29 seats from Republican to Democrat at the polls. They did not have the same outcome in the Senate, where the potential for changing parties was much less. Republicans still control the Senate. Michael McDonald is an Associate Professor of Political Science at the University of Florida. He studies and tracks election trends and polling results. McDonald works with the Edison Media Research group and publishes his findings online at the United States Election Project. According to McDonald, there are almost 236 million eligible voters in the United States. Of those, 36 million voted early in the 2018 midterm. His prediction is that, after all votes cast on Election Day are counted, voter turnout will exceed 111 million. That’s a dramatic increase over the last midterm election. Only 82 million people cast votes in 2014. It’s even bringing voter turnout surprisingly close to the participation usually seen in presidential races—which are perceived to be more important. McDonald says that about 137 million people voted in the 2016 presidential election. Whether your candidate or party won, historians, educators, and analysts say a solid voter turnout is a positive for a democratic nation. It means that citizens are paying attention to the issues in their communities and their country. It means that voters are willing to invest their time to take part in the democratic process, and it shows that having a voice in their government is something the populace values. I think that the voting system needs to be changed. the electoral system was made for a young America, and it has lots of problems, like gerrymandering. That's the first thing that came to my mind to Leah P lol!! !